Welcome to Nationwide Limo Hire, the Uk’s largest Limousine hire company. With the largest selection of elegant, luxurious Limousines and Wedding car hire. At Nationwide Limo Hire our aim is 100% customer satisfaction to achieve this your Limo Hire is treated with the utmost of care from your initial phone call right up to delivering you safely (and in style) to your destination. So whether its a Wedding Day, Birthday, Prom Night, Airport transfers or just a Night Out in the town Nationwide Limo Hire can cater for your every need. Nationwide Limo Hire have offices throughout the UK and the largest fleet of Stretched Limousines and luxurious Wedding Cars, Nationwide are the obvious choice for any special occasion. 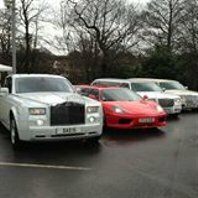 Nationwide Limo Hire, the Uk’s largest Limousine hire company. With the largest selection of elegant, luxurious Limousines and Wedding car hire. Nationwide Wedding Car Hire have offices throughout the UK and the largest fleet of Wedding Cars and Stretched Limousines, Nationwide are the obvious choice for any special occasion. Why CHOOSE Nationwide Limo Hire ? Nationwide Limo Hire & Wedding Car Hire not only has a huge variety of cars and a professional service but it endeavours to make your occasion extra special. Memories are extremely important. That’s why Nationwide Limo Hire work hard to ensure you remember your special occasion forever.